A collection of pictures from Wedding Receptions at Gatherings, Ocean Front Ceremonies from Monterey Beach Weddings and, of course, delicious food selections from Classic Catering. Gatherings offers a homey, vintage-style setting. Originally built in 1907, and lovingly restored 100 years later, the indoor/outdoor venue now includes modern amenities while retaining its original Art Deco flair. Details include leaded glass windows, chandeliers, a player piano, and soft impressionist masterpieces that convey the elegance of a bygone era. There’s even a viewing window into the state-of-the-art chef’s kitchen. Whatever your special occasion, events here are warm, relaxed affairs, where your guests are even welcome to wander in the kitchen and check out the culinary action up close. For weddings, Gatherings offers packages that include beach wedding ceremonies and a beautiful bride’s room. 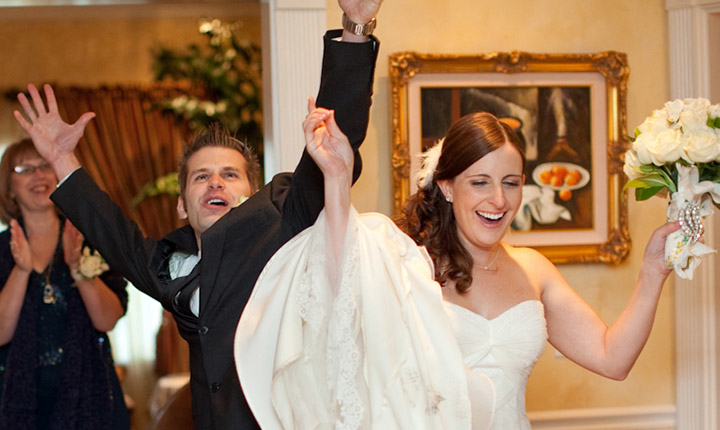 Having Trouble Visualizing Dancing at Your Intimate Wedding Venue? The Warmth & Intimacy of Gatherings is Not Found Anywhere Else! Let us Share with You Why We Love this Venue! Contact a Venue Specialist Today!